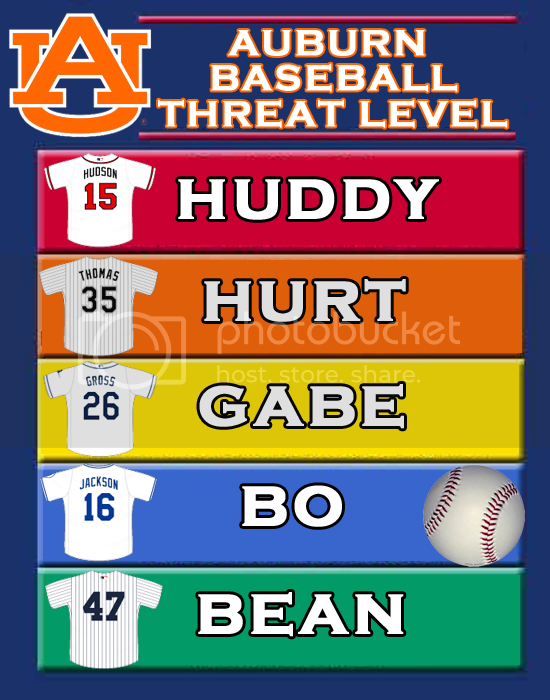 We remain stagnant at Threat Level Bo. Even though the Tigers are riding an impressive winning streak. The only win out of those that we can truly boast about is Tuesday's win against Alabama (which almost didn't go the way of the TIgers). Very close to being raised to threat level Gabe. So close. Possibly after the UT series. We Remain, for the time, at THREAT LEVEL BO.